I woke up this morning to see sunlight finding its way though a window, and then out through a door onto another door. One of the good things about winter is that the sun is low and the bright sunlight always slips through the cracks. A simple shot on the iPhone / Hipstamatic showing where it landed. 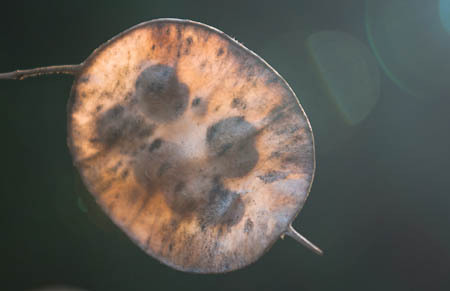 This honesty seed pod is looking a little worse for wear and I’m surprised it’s not split and scattered its seeds yet. Photographed in summer they are a lush green – backlighting still works now and creates an interesting glowing effect. Taken with the K20D and 16-45mm zoom. A low autumn sunlight just out of view has helped introduce flare which I feel adds to the balance. Today was another remarkably warm day, and as the sun was low in the sky shadows were interesting. 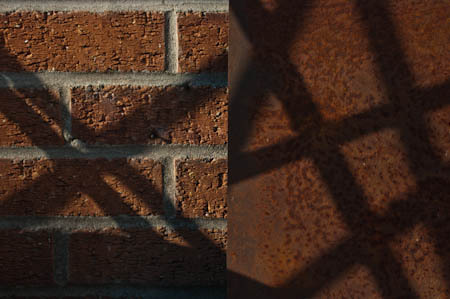 This is my rusty metal resting near a brick wall, and a garden chair causing the shadows. I split the elements in such a way that it now looks like two photos but it is just one. 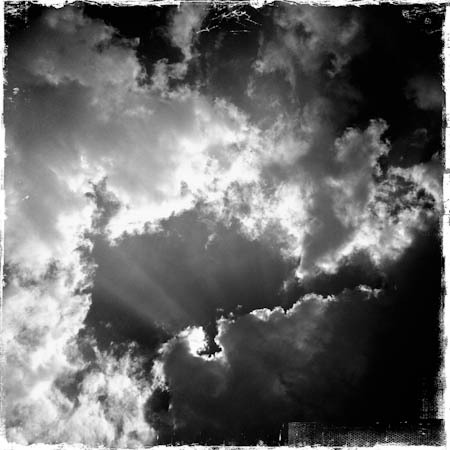 Sun breaking through the clouds today…an hour or so later we had flash floods and my garage was 2in deep in water. I cleared a garage roof downfall pipe a few weeks ago as a result it’s working and sending water to the drain, which I hadn’t realised until today was also blocked so I need to get a man who can out. In the mean time I have a lot of soggy boxes. A self portrait of sorts. 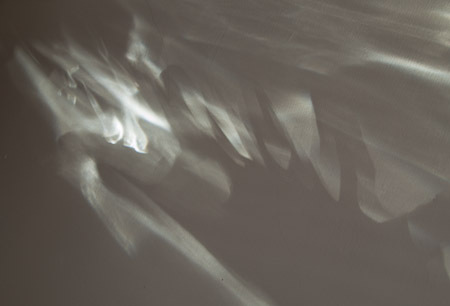 I was in a room and noticed a reflection from a mirror hitting the wall and creating a rainbow shaped letter H. I took a few pics of that and spotted that the actual window light was also strong and part of my shadow was in the frame so I repositioned myself and balanced the shot creating this result. 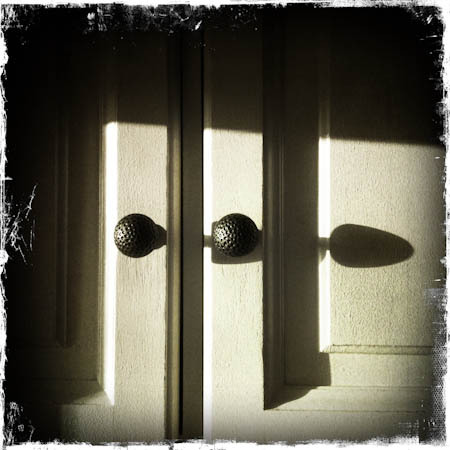 A glorious day today, low winter sun streaming through the windows and through some internal patterned door glass. This lead to shadows and light shaped on the wall. 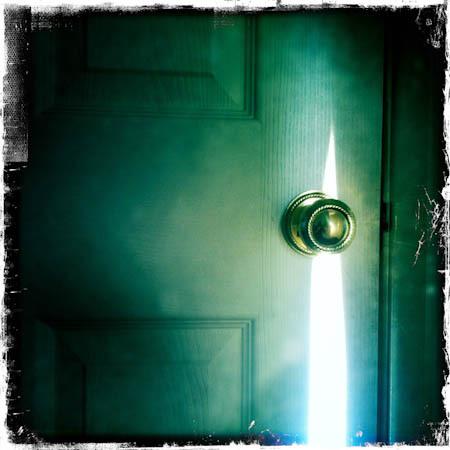 I took a few photos and then started playing around with the shapes, by adjusting the angle of the door so the light rays lengthened. I also noticed that a shadow of the camera was appearing just below the pattern, so I moved it to a lower position and held my hand spanned out in front to make a more interesting shadow. Light was also catching the lens of my reading glasses and threw even more light and shade to the wall. This is the result of a carefully positioned head, door and hand. 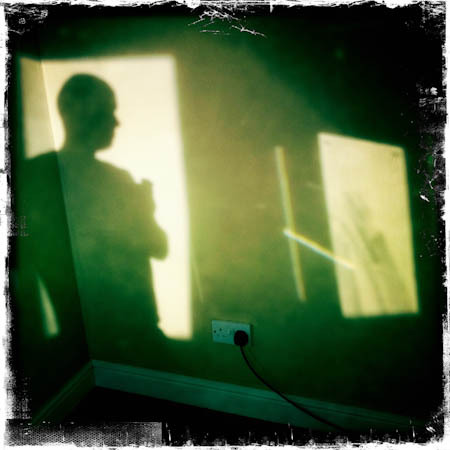 My Photo365 project is making me go off in experimental directions that I left behind many years ago and I’m thoroughly enjoying the revitalised abstract creativity. I hope you do too.